The protection of Sunday as a day of rest is vital for the physical, psychological and spiritual well-being of individuals and families, and for the common good of society. This proposal is a further example of the most vulnerable in our society being asked to bear the cost of the crisis while high earners continue to receive huge bonuses. Commenting on the Government’s proposal to cut premium pay for Sunday workers, Bishop Raymond Field, the Chair of the Council for Justice and Peace of the Irish Catholic Bishops’ Conference stated, “In our publication From Crisis to Hope: Working to Achieve the Common Good, launched before the election, the Council for Justice and Peace emphasised that economic recovery cannot be achieved at the expense of the common good, the fundamental well-being of each and every member of our society. The proposal to cut Sunday premium payments is a prime example of a decision that would prioritise economic considerations at the expense of the well-being of citizens and the good of society. Bishop Field continued, “In From Crisis to Hope we underlined the importance of the family to society as a place of community, a place where essential values, such as solidarity, are first learned and experienced. We also drew attention to the suffering experienced by families where parents find themselves ‘time poor’ as a result of work commitments and unable to spend as much time with their children as they would wish. “Given the value and significance of Sunday, outlined above, it is unsurprising that many of those who find themselves obliged to work on Sundays are people on lower incomes. Many of these people are already struggling to make ends meet; some are already experiencing poverty. It is unjust to ask these people to contribute further to addressing the cost of the crisis while high earners continue to receive huge bonuses. “The combination of these two factors – the undermining of Sunday as a day of rest and the consequences for those on lower income – represents a significant threat to societal cohesion and the common good. Cutting Sunday premium pay would be a disappointing backwards step from a Government that began its first 100 days with the commendable decision to protect the minimum wage. 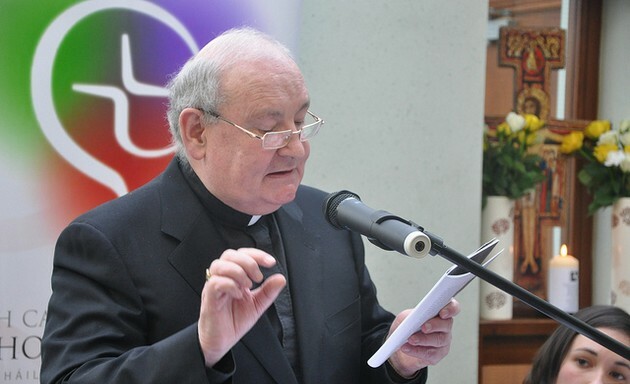 The role of the Council for Justice and Peace of the Irish Episcopal Conference is to support the Irish Catholic Bishops’ Conference in promoting the social teaching of the Church and to advise on issues of social concern, both nationally and internationally. Bishop Raymond Field is Chair of the Council for Justice and Peace and Dr Nicola Rooney is Research Coordinator.